I'm a huge fan of citrus especially in a dessert form. 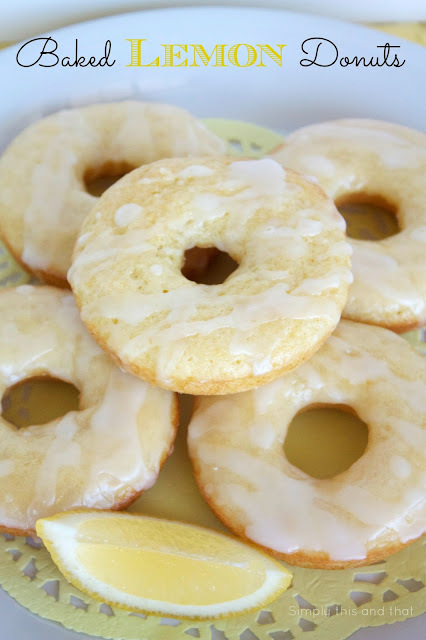 These lemon donuts are light and fluffy and are covered with a lemon glaze that will completely satisfy any citrus craving. I'm loving this donut pan. It makes baking donuts so much easier and in my mind makes the donuts semi healthier, right? Okay, probably not. 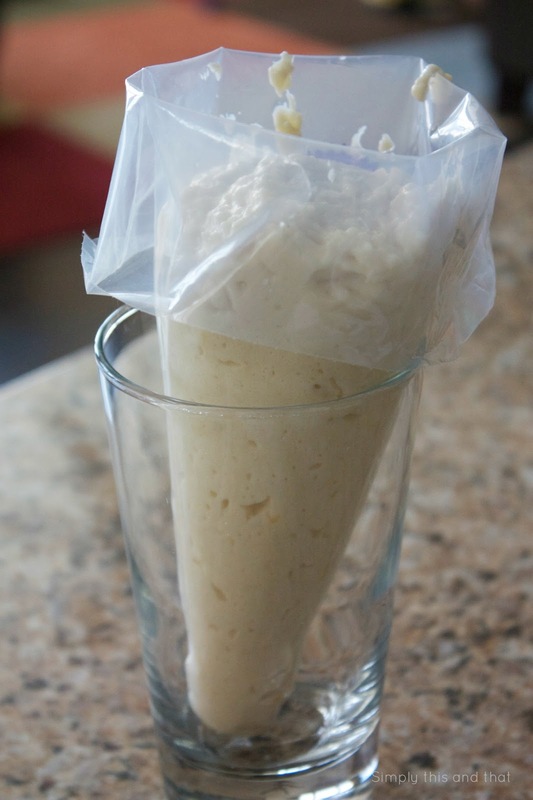 I've found that by putting the dough in a pastry bag like this, will make it easier to divide the dough in the pan. Preheat oven to 325 degrees. 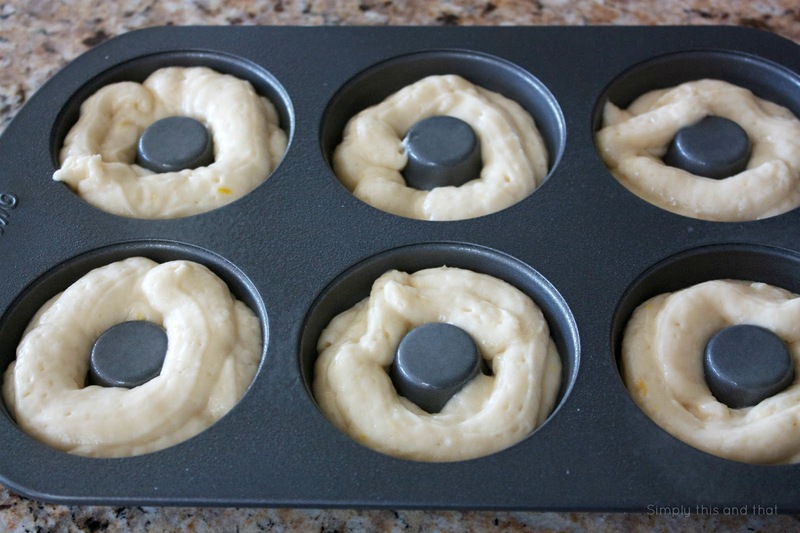 Lightly grease donut pan with cooking spray. 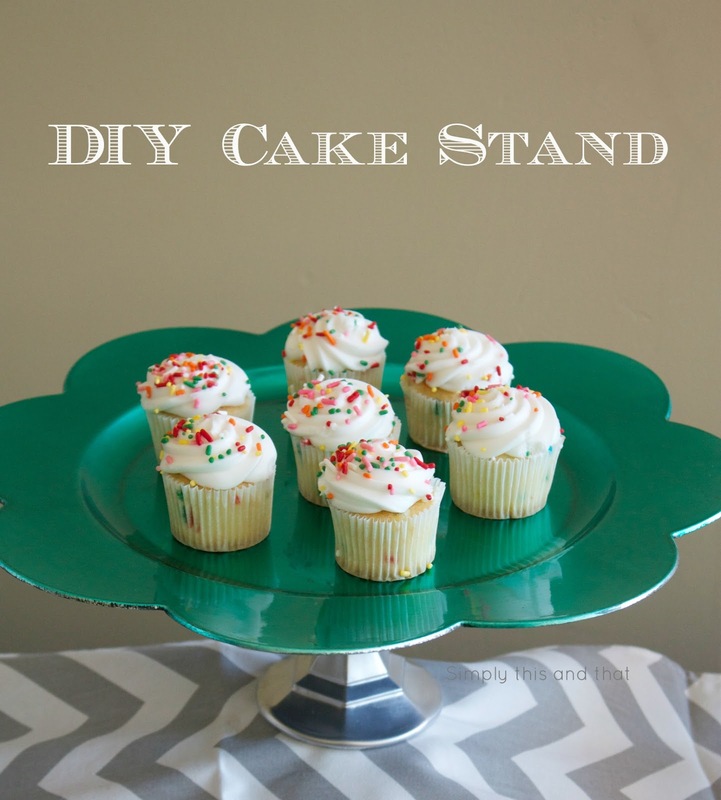 In medium bowl, whisk together flour, sugar, baking powder, baking soda, and salt. Set aside. In a small bowl, whisk together egg, yogurt, oil milk and lemon zest. Add to dry ingredients and stir until just combined. 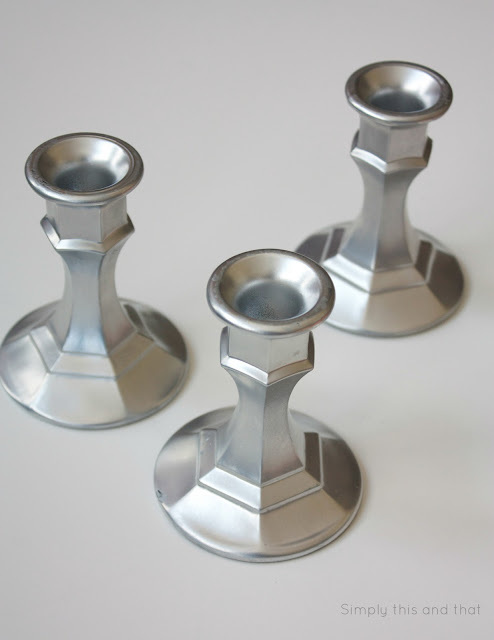 Divide batter evenly into donut cups, filling each cup about half full. Bake for 10-15 minutes. Remove from oven and cool donuts on a cooling rack for a few minutes. While cooling make the glaze. Whisk together the confectioners sugar and lemon juice until it's a thin glaze. 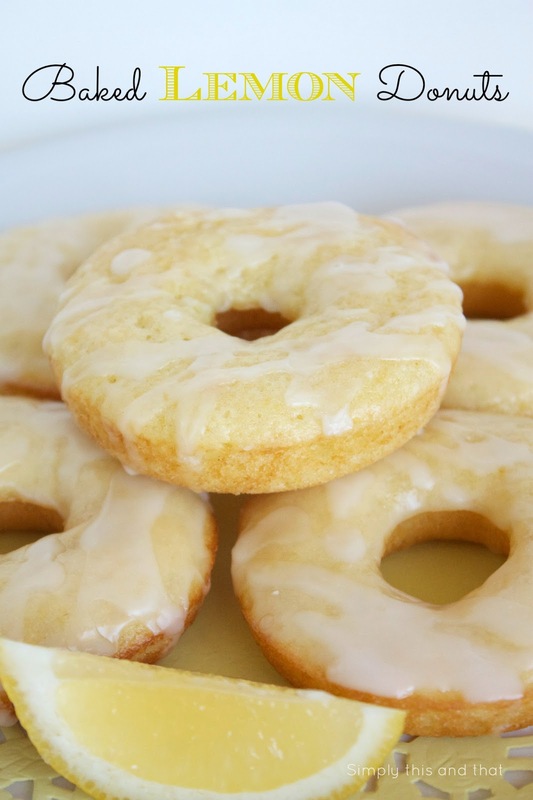 Drizzle glaze on donuts. 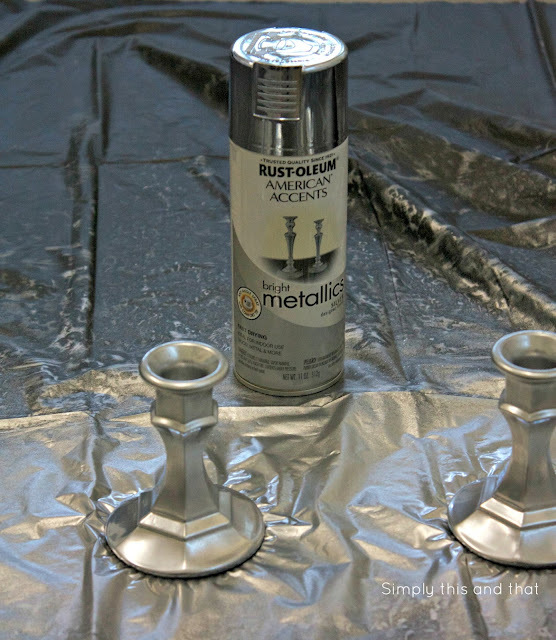 Step 1: Spray paint your candlestick holders. 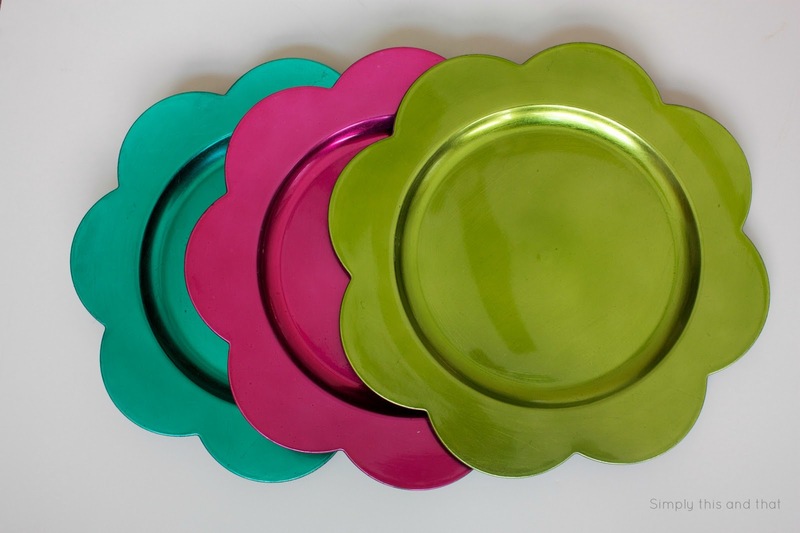 I chose a metallic silver to go with the bright colored charger plates. Step 2: Once the candlesticks are dry, place some glue around the top ring of the candlestick. Wait a couple minutes. Step 3: Turn the charger plate upside down and place the candlestick with glue in the middle of the backside of the plate. Let it dry. 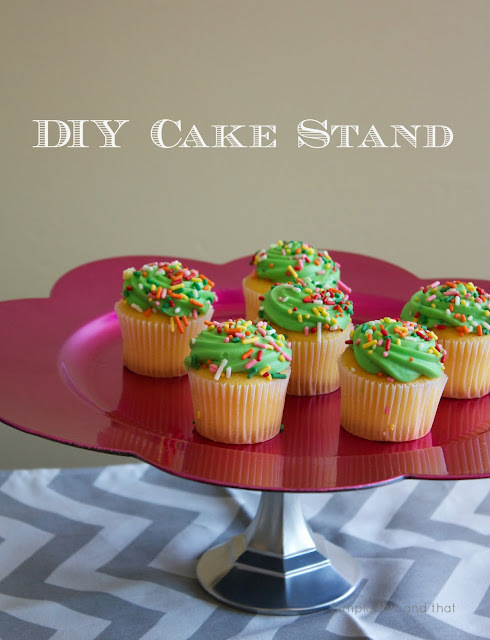 Now you have a fun stand to display all your goodies! I'm using mine for my daughters birthday party this weekend. Here's another simple gift idea for a teacher or anyone really. I found this cute container at Micheals and filled it with some note cards, a cute pen, a pad of paper and rubber stamp that all had my sons teachers initial of her last name on them. We're also going to add her favorite treat in there as well. To add a little more cuteness to it, I added a clip on flower to the front of the basket. 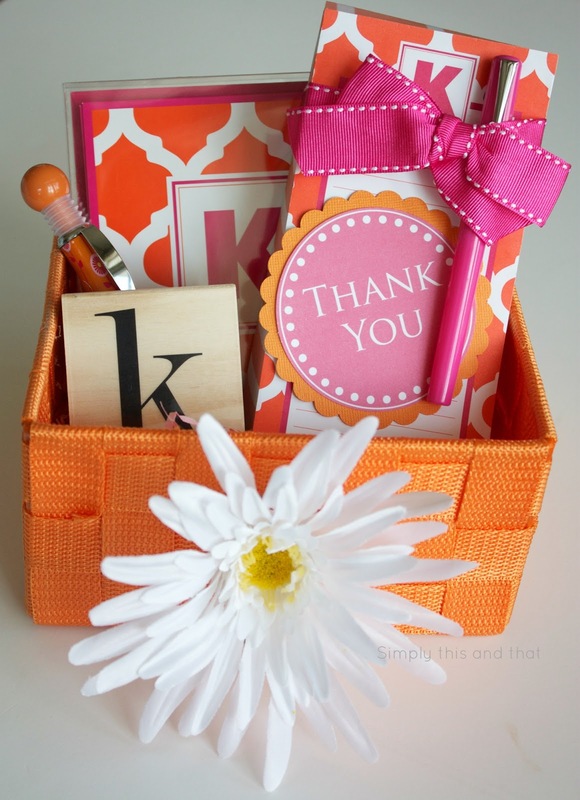 I love the bright and cheery colors! 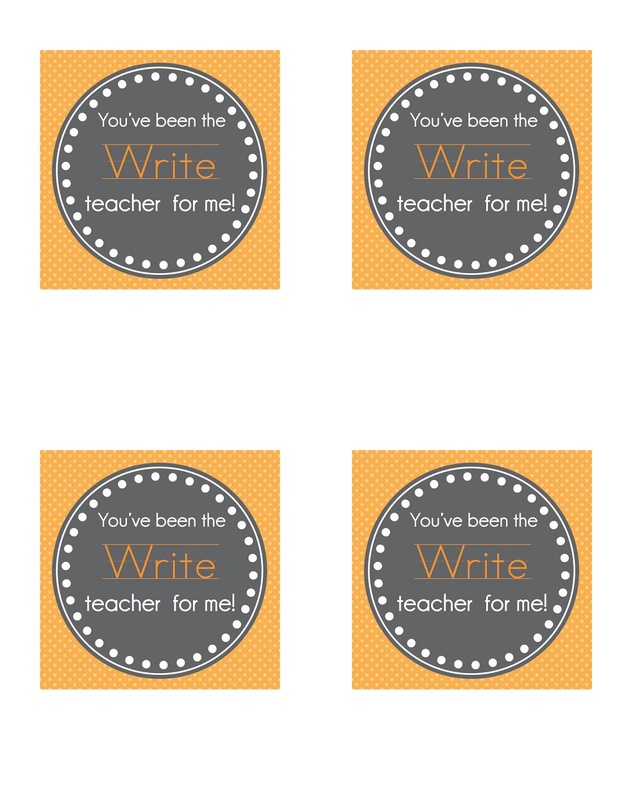 With teacher appreciation week just around the corner and the end of the school year coming to an end, here's another simple gift to give. 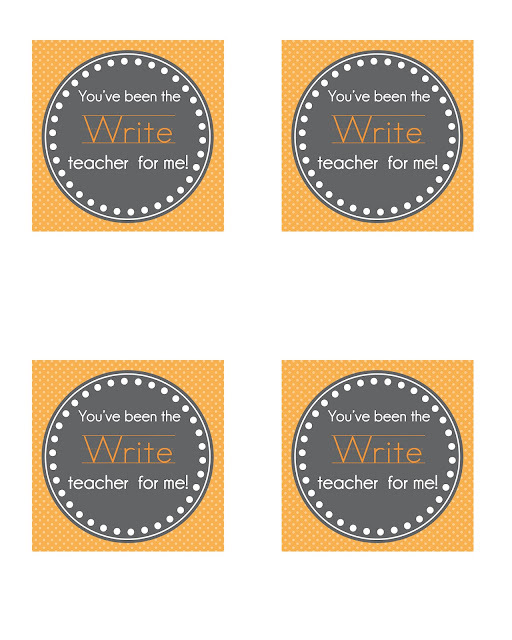 I got these darling pencils and notepad in the dollar section at Micheals. 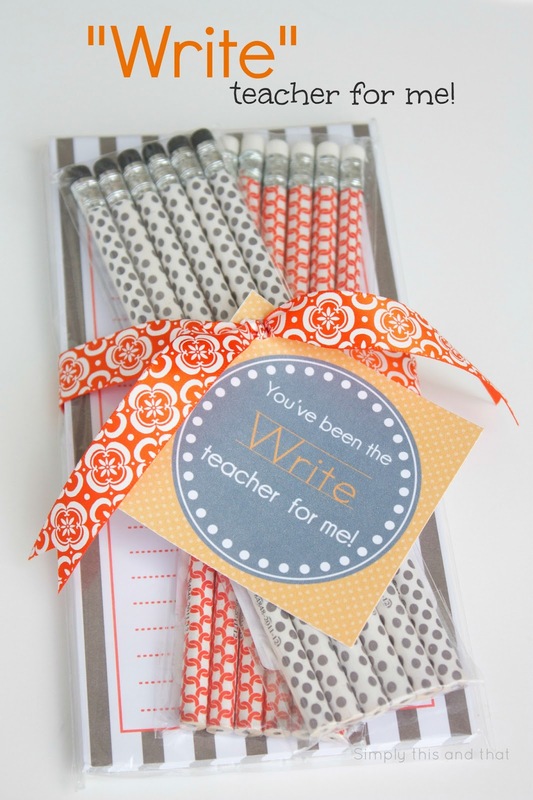 Teachers are always in need of pencils and paper! 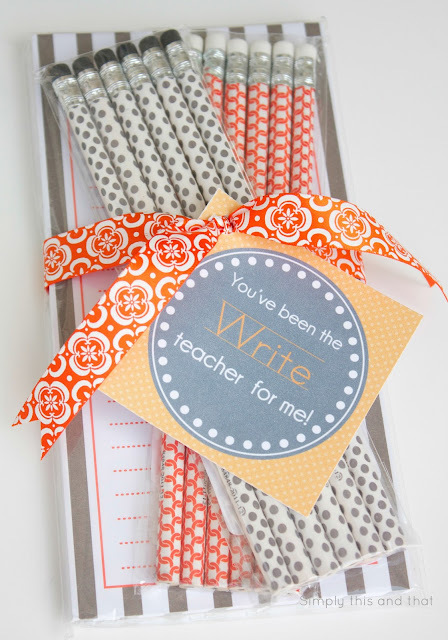 Tie them all together with some fun ribbon and a tag, or note from your child and you've got a simple but useful gift. 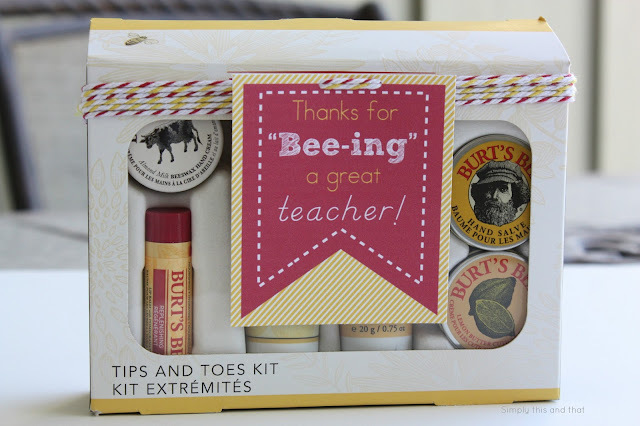 It's that time of year when school is coming to an end and we're all trying to come up with a little something to show our appreciation to all those fabulous teachers. 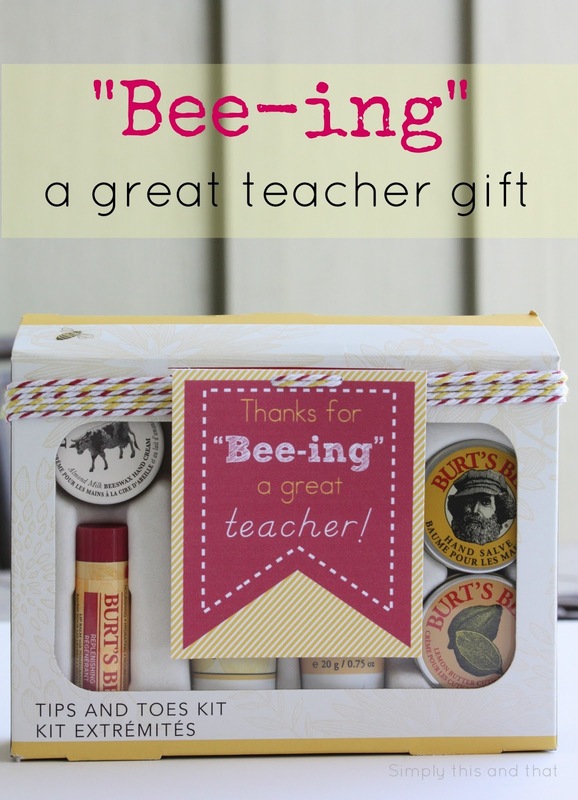 Here's a simple gift idea using products from Burt's Bees. You can buy the products individually or use a small kit like this one that contains a variety of their products. Add some bakers twine and a tag and you're ready to go. 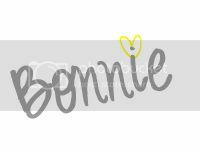 I'm so excited to share this little project with you. It's always fun to try something for the first time and have it turn out the way you envisioned it. I've never worked with minky fabric before, just for the fact that I've heard how hard it is to work with when sewing it. Well, I was adventurous and set out to make a blanket for my sweet neighbor who just had her baby. I followed this great tutorial from How Does She. The only thing I did differently was that I added a LOT more pins. After sewing three sides of the blanket, I noticed that the minky fabric had slid to one side so much that it was all lop sided. So after unstitching the entire thing (not fun) and starting over, I decided to add more pins and it worked like a charm. 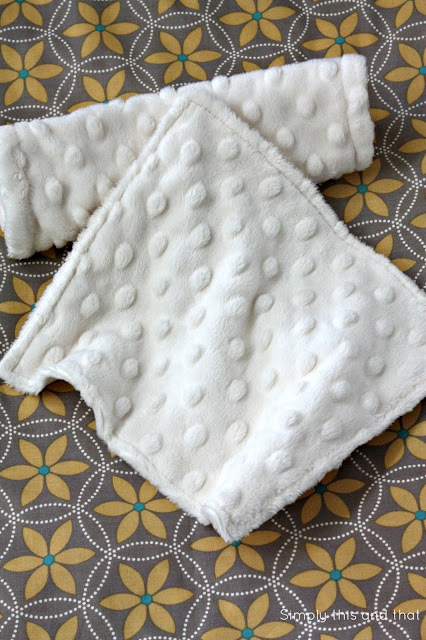 It also helped me to sew slower because I had to remove all those pins as I went, which I think helped keep the fabric in place as well. 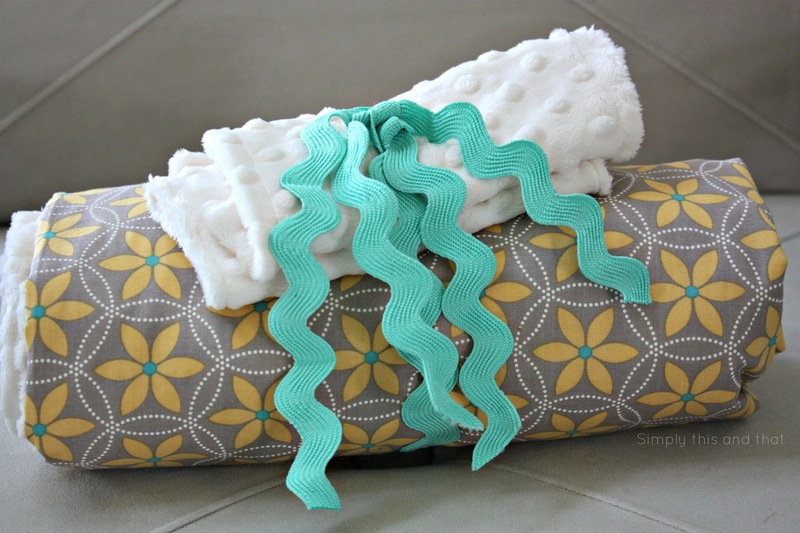 I also used the left over minky fabric to make some wash cloths. 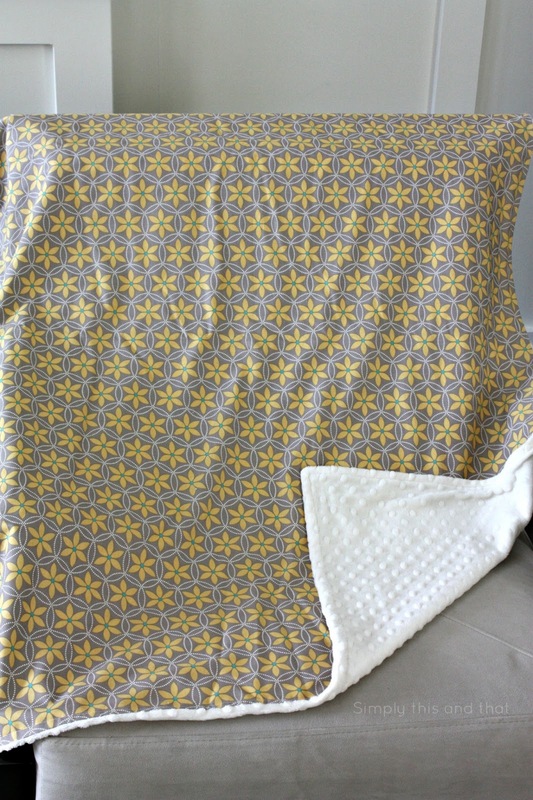 Besides having to start over on the blanket the first time, it really didn't take that long to sew the blanket. 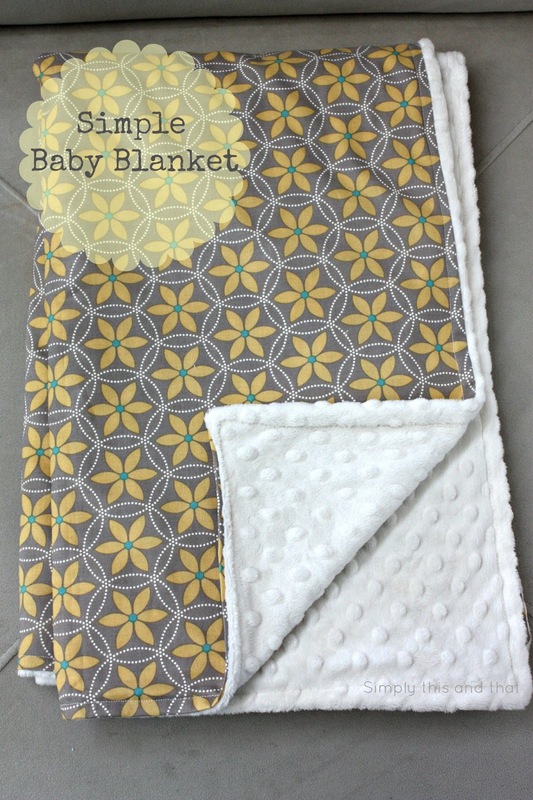 I'm excited at how well it turned out and can't wait to make more for quick baby gifts. 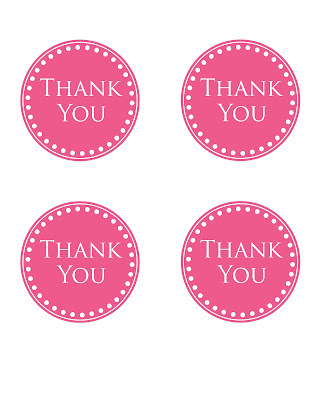 It's been such a great week here! The weather has been warm and has felt like Spring! I love spending more time outside with the kids. 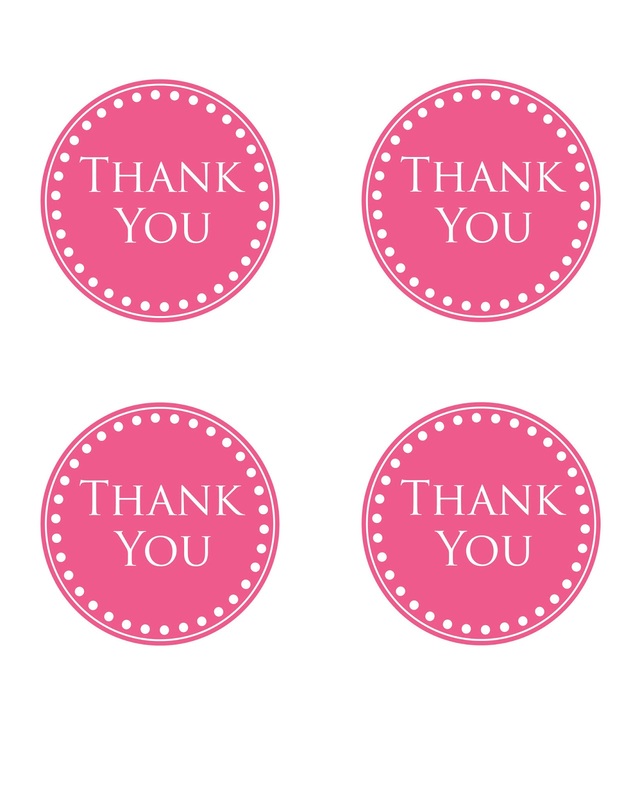 We even cleaned and organized both garages, not my favorite thing to do but it feels so good to have that done. 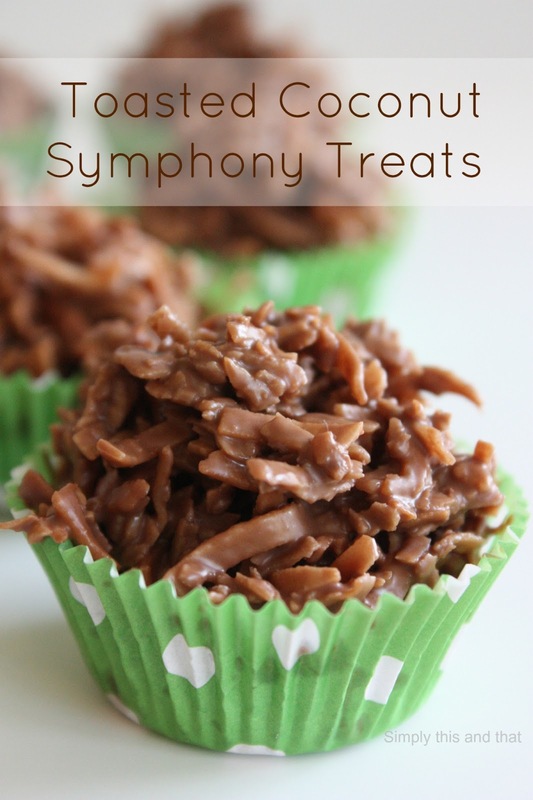 Here's a quick treat to make so you can spend more time outside! All you need for this chocolate goodie is coconut and a giant sized Symphony candy bar. 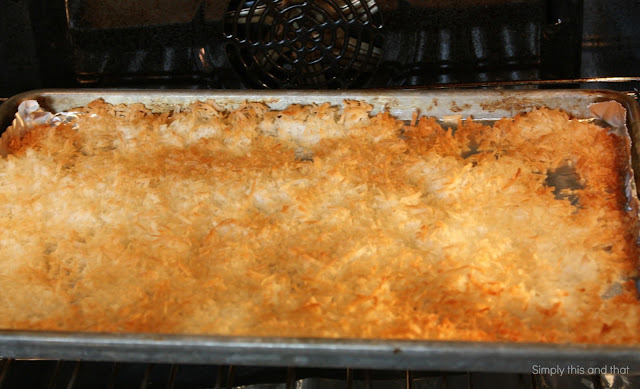 Take the coconut and spread it onto a cookie sheet. Bake at 300 degrees for 20 minutes. Stir every 5 minutes. Watch it carefully so it doesn't burn. 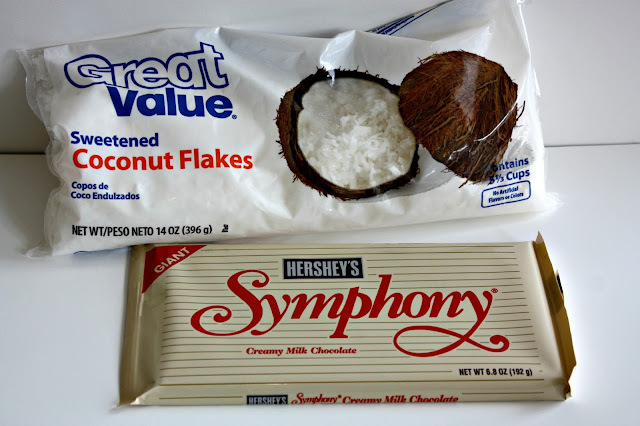 Next take your chocolate bar and break it into pieces then melt either in the microwave or on the stove top. I get a pot and fill it half way with water and let the water warm up. After the water is warm I place the chocolate in a glass bowl and set it on top of the pot of water and let the chocolate melt. Mix the coconut and chocolate together until all coconut is covered. Scoop onto wax paper or into mini cupcake liners. 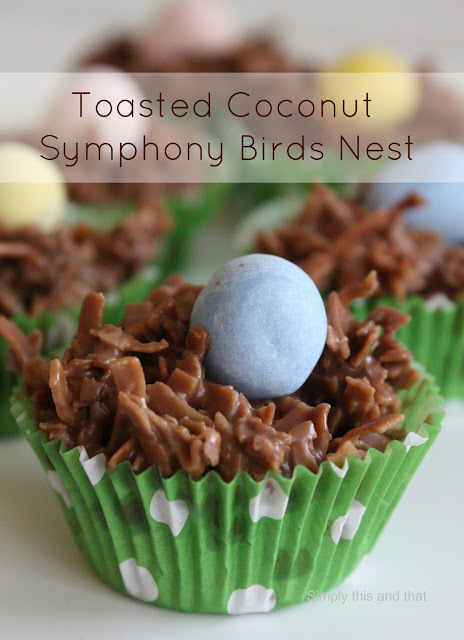 Add a Cadbury egg to make tasty birds nests. These would be great treats for Easter!